“The hydraulics are the muscle, managed by very sophisticated electronics,” says Mike Britt, director of maintenance and engineering for the company’s international ground fleet. Hydraulic systems may be new to delivery trucks, but they’re widely used elsewhere. The strength and durability of hydraulic systems have made them a mainstay in countless heavy-duty machines, from fighter planes and garbage trucks to bulldozers and car crushers. But until now, high costs have made it difficult to use hydraulic drives in everyday vehicles. As part of a long-term government-backed program to study and scale up this technology, UPS began at the end of 2012 to introduce 40 of the advanced Daimler-built hybrids on delivery routes in Atlanta, Georgia, the shipping giant’s hometown, and Baltimore, Maryland. From the outside, UPS’s hybrids are the same familiar brown boxes-on-wheels that have delivered catalogue orders and holiday gifts for generations. Pop open the hood, however, and you’ll begin to see differences. Inside is a powerful diesel engine, but instead of connecting to a drive axle and transmission, as in a regular truck, the motor drives an advanced pump that pressurizes a tank of hydraulic fluid. Upon acceleration, digital controllers send bursts of highly pressurized fluid via narrow pipes to pump motors, which set the wheels spinning. The system works in reverse during braking. The pumps act as generators, recapturing more than 70 per cent of the vehicle’s kinetic energy. At idle, the engine doesn’t run. Rather, it switches on and off intermittently to top up hydraulic pressure. The design’s main attraction is that it consumes less energy. Using the diesel engine to generate hydraulic pressure, rather than propel the van, allows the motor to run at a fixed, optimal speed. What’s more, the regenerative braking process is about 50 per cent more effective at recapturing energy compared with a Prius-style hybrid electric vehicle, Britt adds. There are also secondary savings in the form of less wear and tear. Compared with conventional designs, UPS anticipates the brakes will last four or five times longer. Likewise, running the engine at its “sweet spot” should extend its lifespan two- or three-fold compared with a diesel engine used conventionally, Britt says. 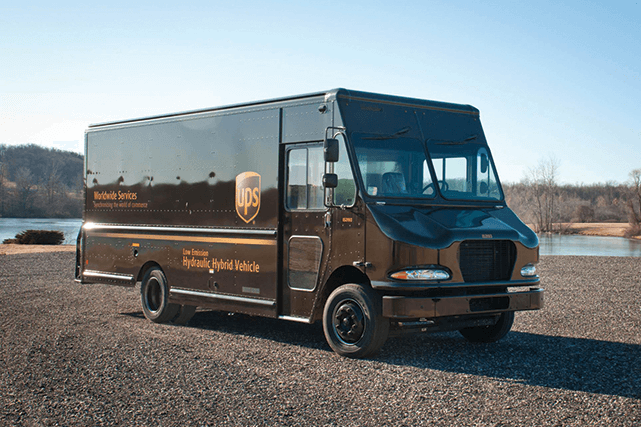 Given that a typical UPS brown delivery van has an average lifespan of up to 25 years, less day-to-day downtime means many more deliveries and lower lifetime operating costs. Performance improves, too. Drivers like that the system delivers enormous torque – or pushing power – immediately. That’s an advantage when moving a 27,000-pound van up to speed, then back to a stop, scores of times every day. “Hydraulic power is really well suited to stop-and-go delivery routes,” says Britt. The design is the result of a project that started in 2006, backed by the U.S. Department of Energy’s Clean Cities program. In the six years since, the department has orchestrated the development of a series of pilot vehicles in collaboration with three vehicle manufacturers (Eaton, Parker Hannifin and FCCC) and three major shippers (FedEx, Purolator and UPS). With a fleet of 93,000 delivery vehicles – running the gamut from big rigs down to three wheelers – UPS has proven itself an eager early adopter of green vehicle technologies. The hydraulic hybrids join a fleet of 2,500-plus “unconventional” vehicles, which includes HEVs, compressed natural gas (CNG), clean diesel and pure electric vehicles (EVs). Taken together, this fleet has motored more than 200 million miles since 2000. The hydraulic hybrids are hitting U.S. roads at around $120,000 per vehicle, Britt estimates. That’s roughly twice as much as a standard diesel version. 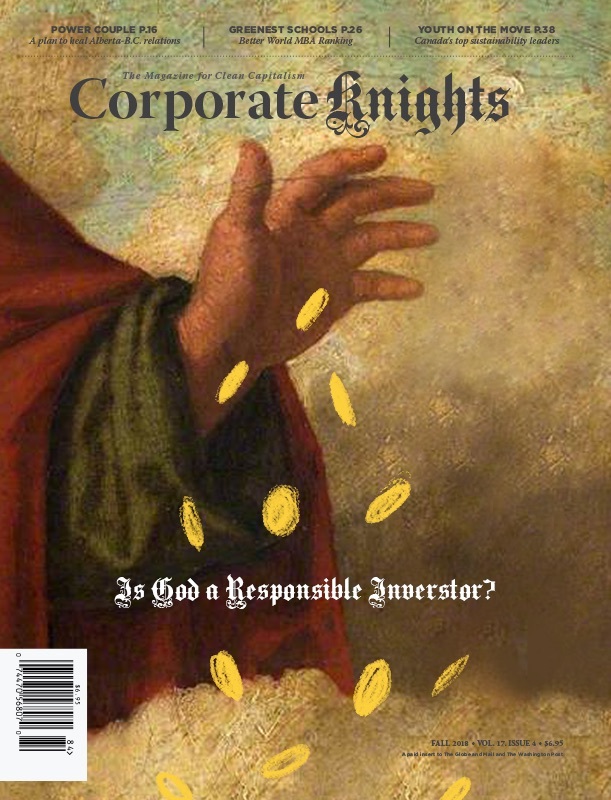 To help validate the long-term cost advantages, and to amass data on the real-world performance of the technology, the Environmental Protection Agency subsidized about a third of UPS’s total costs.